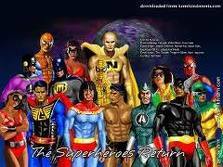 In 1975 when i was kid, i remember there was so much character of Indonesian Super Hero comic. One of the popular character is Gundala. 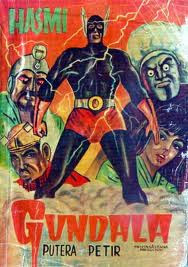 I realy enjoyed to read the Gundala comics, its adventure was coming trough my childest dream of superhero. But Gundala was not the only one Super hero character, many friends of Gundala, mention it : Godam, Pangeran Melar, Bantala, Laba-laba Mirah, Maza, and etc. Hasmi as the creator of Gundala superhero character was very agile and understand to meet the desire and dream of youths for they superhero character. In 1975 till 1980, Indonesian Super Hero comic was ever occupied period of glory, but now in 2010 we miss them to re-read the Super Hero classic comics.